There's nothing more rewarding than watching youth connect with the outdoors and learn about our fisheries. Taking a kid fishing can change that child's life and perspective and take them from virtual reality to nature. 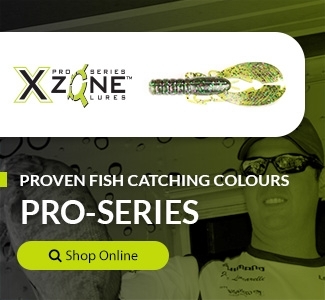 X Zone Lures is a proud sponsor to many junior anglers both in USA and Canada , let's take a look at a few of them. The Ontario Bass Nation runs a youth program for it's next generation angler's and X Zone Lures is a proud sponsor to the club. 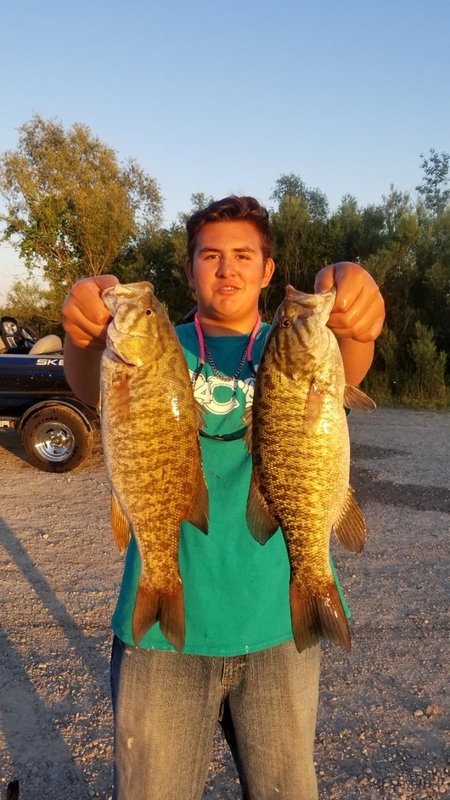 Recently the Kitchener-Waterloo Junior Bassmasters held a twilight tournament and the winning team caught over 16lbs of fish within the time period. Alecio was the winner and used the popular color of 309 on the X Zone Tubes for his winning bag. Using the X-Zone tubes he acquired as a prize from the opening day youth club tournament, Alecio outfished the two adults by a 7-1-0 margin, helping his boat to win the 4 hour event. Not to be outdone... another youth member, joined a pair of senior members and held his own. Using a Ned Zone on a drop shot for one of his 3 fish, Owen helped propel his boaters to a 2nd place finish. Bass Nation runs a very progressive program in the USA and many anglers have plenty of hours spent on the water fishing before they head to the High School Championship. X Zone Lures is a proud sponsor to some of the clubs that compete in this youth program. Both the Fenton Tigers and Eastside Elites are a couple of clubs sponsored by X Zone Lures from Michigan. The youth angler's are supported by boater's that take them out on the water to help them practice techniques that they have been taught through the club. Recently competitions have found many of the angler's at the podium with some of them winning bags and cashing checks. Some of the Eastside Elite angler's have even been competing in the FLW BFL tournament series competing against some seasoned anglers. The teams travel this weekend to Muskegon Lake to compete once again this weekend and we wish them the best of luck.